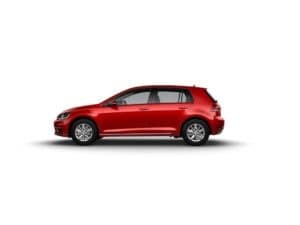 A sporty compact car like the Volkswagen Golf delivers a fun ride and lots of features to drivers in Toms River, Brick, and Freehold. So, what’s the latest model capable of? Toms River Volkswagen put this 2019 Volkswagen Golf review together to show you everything it has to offer. Contact us today to schedule a test drive! The Volkswagen Golf features seating for up to five people. Its two rows of seats offer either cloth or V-Tex leatherette upholstery. There’s a roomy trunk with 60/40-split folding rear seats for your cargo. Both the driver and passengers in the back seat can relax during the drive with 93.5 cubic feet of passenger space. To keep you entertained and connected during your drive, the Volkswagen Golf has a user-friendly infotainment system. The base trim has a standard 6.5-inch touchscreen in the dashboard, while the higher trim level features an 8-inch Composition Media touchscreen. You can also inject some variety into your playlist. SiriusXM® All Access comes standard and offers lots of channels to choose from. Plus, you can skip songs, change stations, and switch apps without taking your hands off the wheel thanks to voice control. The infotainment system in the Volkswagen Golf even doubles as a safety feature. When you shift into reverse, the screen will switch to a live picture of what the Rear-View Camera System sees behind you. It’s just one of the many safety and convenience features that come standard. You can also get in and get on the road faster with keyless access and a push-button start. The Volkswagen Golf runs on a 1.4L TSI® 4-cylinder turbocharged engine that gets up to 147 horsepower and 184 lb-ft of torque. This athletic powertrain gets paired with a standard 6-speed manual transmission, but an exciting 8-speed automatic with Tiptronic® and Sport mode is also available. The Tiptronic® feature lets you take control of your gear shifting without a clutch. This sleek compact delivers both a fun and efficient drive. The Volkswagen Golf can get up to an EPA-estimated 29 MPG city and 37 MPG highway. Visit Toms River Volkswagen to test drive the sporty and stylish VW Golf. It offers lots of space, convenient features, and reliable performance to drivers in Toms River, Brick, and Freehold. To learn more about this 2019 Volkswagen Golf review, contact us or visit our dealership. 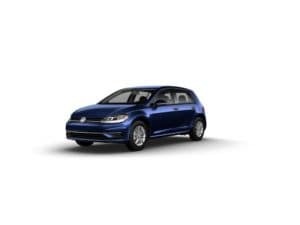 29 city/37 highway MPG (2019 VW Golf 1.4L, 6-speed manual transmission). EPA estimates. Your mileage will vary and depends on several factors, including your driving habits and vehicle condition.